To start to build a Pinterest account for your Blog, follow these easy steps. Set up your Pinterest account as a BUSINESS. This will give you access to insights and data you wouldn’t normal have (and remember, data is GOOD). Ensure your bio etc, all relates to your business (blog) brand. Create boards based off your THEMES or CATEGORIES on your website. Start with the main themes, and then micro the concepts down to pin your content across multiple boards. (i.e. a recipe board, a baking board, a chocolate baking board, and holiday recipes). Consider using a platform like Tailwind that will allow you to SCHEDULE your pins. 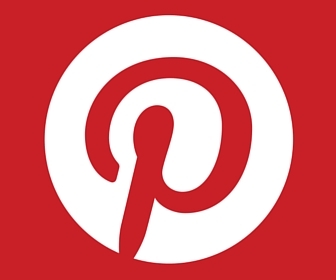 This will give you a consistent presence across Pinterest, even when you are off line. (Click here for a free month of Tailwind). Use VERTICAL pins. Canva is an easy platform to use to create pins that are TALL vs wide (pinterest friendly in their terms) (check out this post for some vertical image ideas). Participate in GROUP boards for niche subjects! Be wary though, and WATCH your insights to ensure you are getting something BACK from these boards! Create a “Blog roll” board- a place that shares ALL your content, every day! Follow, engage, link, comment, re-pin. When uploading images to your blog, put your “Pinterest friendly description” in the description tab. This will ensure it shows up on the pin description when someone PINS it from your blog. Add the PIN IT plugin so that people CAN pin from your blog! In the BIG picture your brand, even if it isn’t food or DIY related, NEEDS to have Pinterest as a referral source. Start today to build up this STRONG foundation for traffic and learn as you go. A well pinned pin (like this one ) can deliver a hundred views or more a day! (see that makes it worth it, right? ).